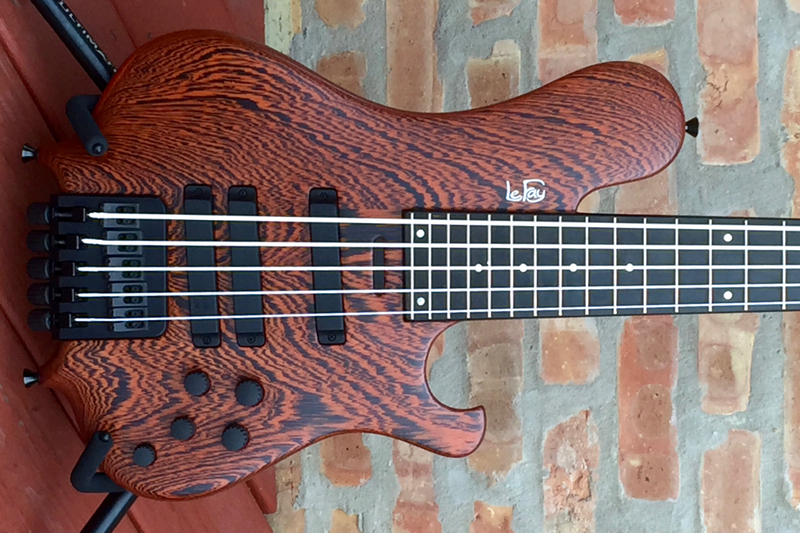 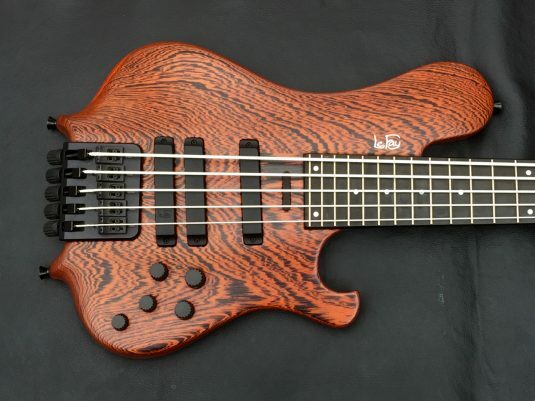 Here is a rare bird, a used Le Fay bass. 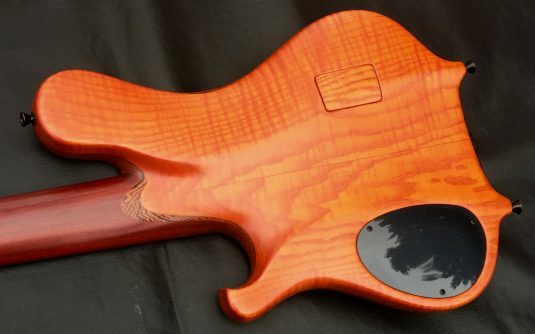 The Pangton is a headless design , and perhaps the most ergonomic bass I have played. 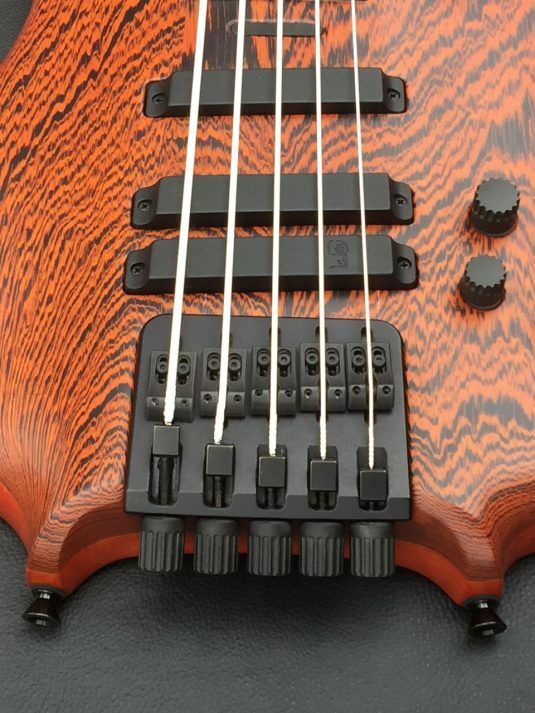 ( I own one , and it could not fit any better , standing or sitting ). Add to the fit factor the supreme playability , and the unique and incredible tones delivered by their three pickup six position switch and the Langmaack 2 band preamp , and…………. 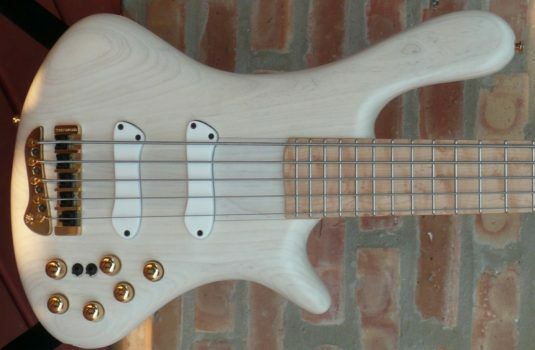 you have a helluva bass ! 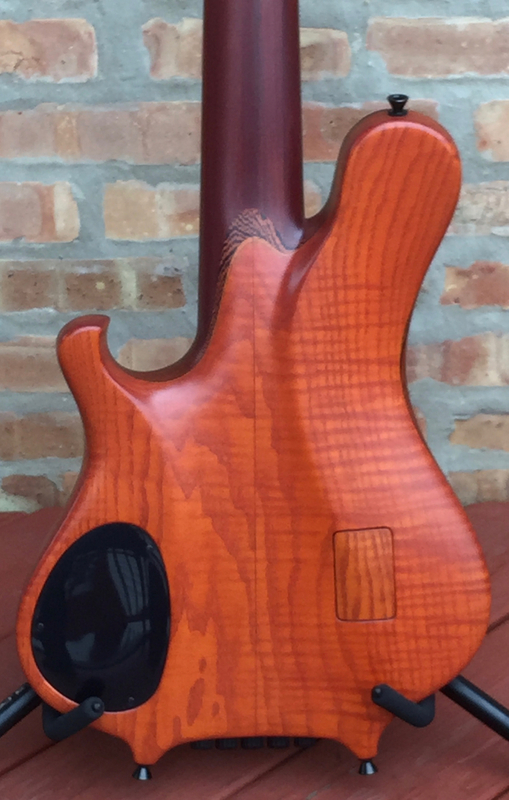 Ash body , 9lbs, 11 oz. Active / Passive preamp, with 6 position pickup selector, bass and treble boost only EQ, and passive tone control. As is the case with Glockenklang amps , I feel you need to play a Le Fay to really know and appreciate a Le Fay. 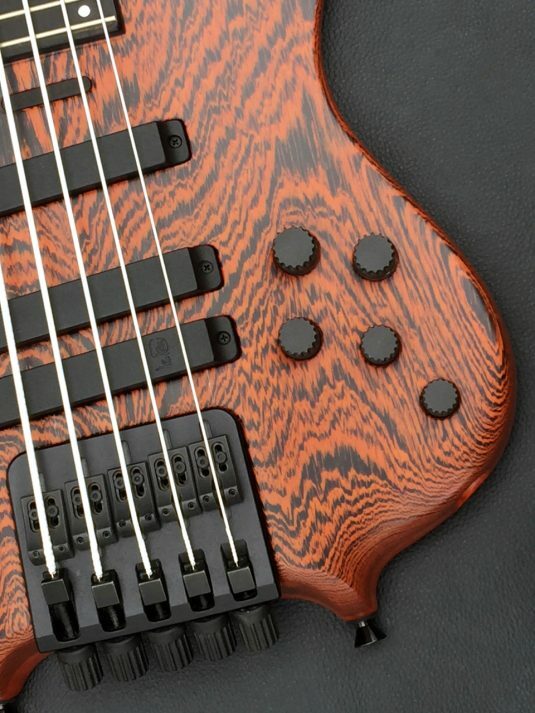 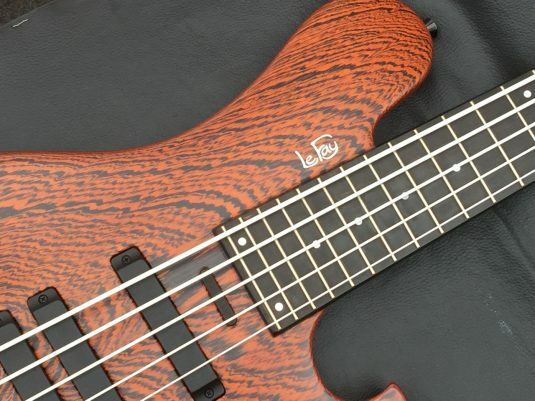 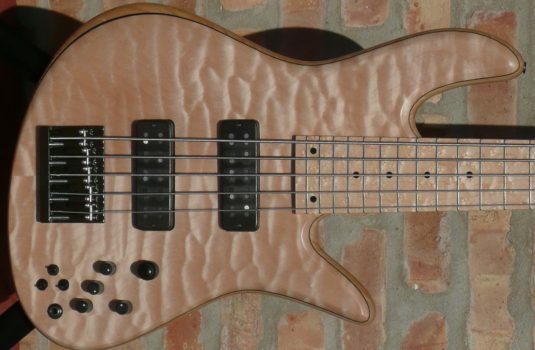 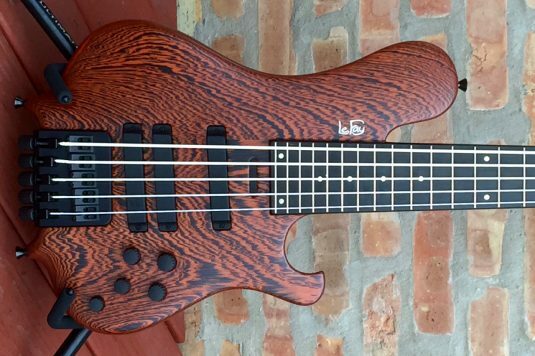 This bass is like new – let’s put this bass in to your hands.